Mecca and Medina are the two sanctuaries of Islam, places which every Muslim dreams of visiting at least once in a lifetime. Mecca and Medina are the two sanctuaries of Islam, places which every Muslim dreams of visiting at least once in a lifetime. 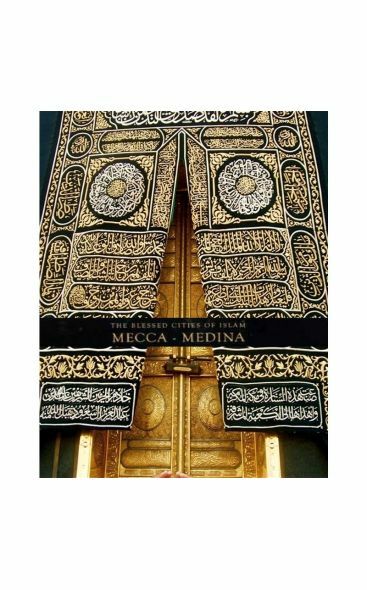 Mecca is believed to be the very first location of human settlement and it was the birthplace of the Prophet Muhammad, peace and blessings be upon him. The Ka'ba, found in Mecca, was raised by the Prophet Abraham from its foundations to become the direction of prayer for believers. Medina is the city in which Islamic civilization was centralized and flourished religiously, politically, and socially. Faruk Aksoy, a BBC cameraman, took hundreds of photographs of these blessed cities from the most spectacular angles. This album includes over 160 select pictures shot by Aksoy since 1980s. He provides for us a picturesque pilgrimage experience and gives us an opportunity to share in the blessings of a lifetime journey as we browse through the pages accompanied by inspirational texts by Fethullah Gülen. Ömer Faruk Aksoy was born in Istanbul in 1952. He studied German and took photography courses in Switzerland. He was involved in some Turkish movies first as an assistant and then as a cameraman. He started documentary videos in Britain in 1980. He then moved to Saudi Arabia, where he directed advertisments and films for companies and state instititions, primarily for King Abd al-Aziz University, Umm al-Qura University, The Ministry of Information, The ministry of Hajj and the Administration of the Two Sanctuaries.